As you bend over me to correct my posture. As your cheek accidentally brushes against my own. And I Imagine them against my skin. How my fingers itch to touch, to caress. And my heart breaks, for I see you holding hands, stealing kisses. Now I am the one who is being called Sensei. LADY FLAME: "BWA HA HA HA HA... I, Lady Cara von Flame, 'ave discovered ze secret of life after death!!" 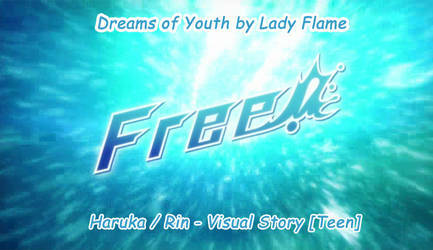 LADY FLAME: "I vil' prove my life's vork, by awakening zis creature I 'ave created from pieces of dead youkai!!" The Sea Witch - Chapter 1Lavender woke up to the sensation of warmth on her face, and when she cracked open her eyes, she was almost blinded by the morning sun. "Ugh, why the frick does it have to be so bright this early in the morning." She didn't exactly have a hangover, but she had definitely enjoyed a couple of glasses of the best rotgut rum that was available on board ship last night. It served her right, Lavender thought, it was never a good idea to drink with Uncle Tomas, and Cousin Tomo. "I should never drink with old guys with livers of iron, or childhood friends who are now a foot taller and a foot wider than me… my tolerance just ain't that good!!" Her internal clock told her that it was still early, not yet the time she was due to rise, so Lavender pulled the sheet that was covering her over her head, "Ten more minutes should be okay." If a member of the public asked me that question, then I would reply… I am the Protector of The Sea Witch, the flagship vessel of The Jade Crusaders Guild. However, if I’m being brutally honest, then I would give you a totally different answer. I am a woman with a stupid name, which really doesn’t suit me… I may be pretty enough, but I am a complete and utter tomboy, who relies mostly on my skill with a sword and pistol to get by in life. To make matters worse, I have no obvious, discernable talent for magic; in this world where having powerful magic is essential to rank up in caste. Finally, the clincher is that I am a half elf, which generally means that my ears are a little too pointy for most humans, and not fricking pointy enough for those snobby elves. Lavender woke up to the sensation of warmth on her face, and when she cracked open her eyes, she was almost blinded by the morning sun. "Ugh, why the frick does it have to be so bright this early in the morning." She didn't exactly have a hangover, but she had definitely enjoyed a couple of glasses of the best rotgut rum that was available on board ship last night. I had already boxed up my belongings to be shipped to Japan, my flight was booked, and I had my case with me, when I told Yakov my plans. "Vitya, don't go! Stay here!" He shouted after me. I turned back to look at him, for once he looked deadly serious, no over-the-top yelling this time. "Yakov, you were the best Coach I ever had," I walk back to stand in front of him, " You always will be". "If you walk away now, you can never come back". Yakov's so emphatic in his body language, he really does believe that, and I know that he has my best interests at heart, but this is something that I want to do... No, this is something that I NEED to do... To take that next step in my life, to grasp that ephemeral something that is currently missing from it, to grab it with both hands, and never let it go. The first time I saw Katsuki Yuuri was in the entrance hall of the stadium after the event. I must have walked straight past him when I was talking to Yuri about his performance, but I became aware of someone's gaze as I stood waiting for Yakov to finish yelling at Yuri, and turned to look. I'm embarrassed to say that I didn't recognize him as a fellow competitor, and asked him if he wanted a commemorative photo, he looked so shocked and hurt at that, and I was left staring after him when he turned and walked away. 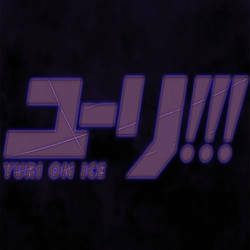 He had been with two men, one shouted in Japanese after him, and the other yelled out "Yuuri" in an annoyed voice. It was then I realized my mistake, he was Coach Celestino from Detroit, and that had been Katsuki Yuuri of Japan who'd come in sixth place, and lost his chance to compete further.